Jean-Paul Rodrigue received a Ph.D. in Transport Geography from the Université de Montréal (1994) and has been at the Department of Economics & Geography at Hofstra University since 1999. In 2008, he became part of the Department of Global Studies and Geography. Dr. Rodrigue, as project director, contributed to the development of a web site about transport geography and was chair of the Transport Geography Specialty Group of the American Association of Geographers (2004-2006). He is also on the international editorial board of the Journal of Transport Geography and the Cahiers Scientifiques du Transport, acts as the Van Horne Researcher in Transportation and Logistics, is a member of University Transportation Research Center, Region II of the City University of New York and is a lead member of the PortEconomics.eu initiative. He regularly performs advisory and consulting assignments for international organizations and corporations. 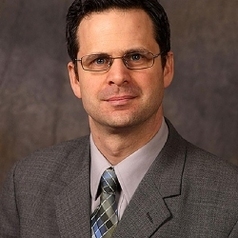 Dr. Rodrigue is a member of the World Economic Forum’s Global Agenda Council on Advanced Manufacturing (2011-2013) and a board member of the Canadian Transportation Research Forum. In 2013, the US Secretary of Transportation appointed Dr. Rodrigue to sit on the Advisory Board of the US Merchant Marine Academy. He has authored 5 books, 25 book chapters, more than 40 peer reviewed papers, numerous reports, and delivered more than 130 conferences and seminar presentations, mostly at the international level. His book about the global economic space, has been published by Les Presses de l'Universté du Québec and won the 2001 PricewaterhouseCoopers award (Prix du livre d'affaire) for the best French business-related book published in North America. His high impact textbook, The Geography of Transport Systems, was first published by Routledge in July 2006 and is now in its third edition. He is also co-editor of the Sage Handbook of Transport Studies.